Seven Russian S-300 air defense systems have been deployed in Syria, Russia’s Defense Minister Sergei Shoigu said Tuesday. Russia deployed Bastion coastal systems, which are able to destroy both sea and ground targets at a distance of 350 kilometers of the sea and almost 450 kilometers of land, which virtually cover the entire Syrian coast, according to Shoigu. Pantsir systems have been also supplied to defend Russian bases from low-flying targets. On the same day, the Russian state-of-the-art frigate Admiral Grigorovich launched Kalibr cruise missiles and a Bastion coastal defence system launched Oniks cruise missiles, destroying warehouses with ammunition, terrorist gathering and training centers, as well as plants for the production of various kinds of weapons of mass destruction belonging to Jabhat Fatah al-Sham and ISIS in the provinces of Homs and Idlib. Sukhoi Su-33 fighter jets began conducting combat flights over Syria from the Admiral Kuznetsov heavy aircraft-carrying missile cruiser deck. Before this, jets from the Kuznetsov deck used to do only reconnaissance of targets. Massive air strikes by the Russian Aerospace Forces and the Syrian Air Force were reported by pro-militant media outlets in the Aleppo-Idlib countryside. 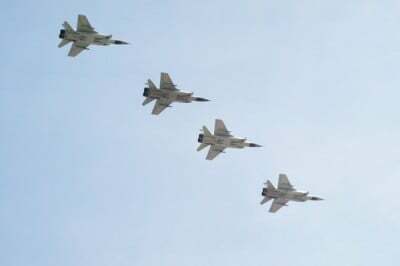 The warplanes paid special attention to the Saraqib-Khan Tuman supply line used by militants to deliver supplies and reinforcements to the area of Aleppo from Idlib province. At the same time up to 1,000 Syrian army soldiers allegedly arrived Aleppo city to participate in the long –awaited offensive in the militant-controlled areas of eastern Aleppo and in the city’s southern countryside that is expected to be led by the Syrian army’s Tiger Forces, the Desert Hawks Brigade and Hezbollah. The government forces have already launched a preemptive shelling if the Aqrab area in western Aleppo. The major operation in Aleppo city is on the verge of its start.